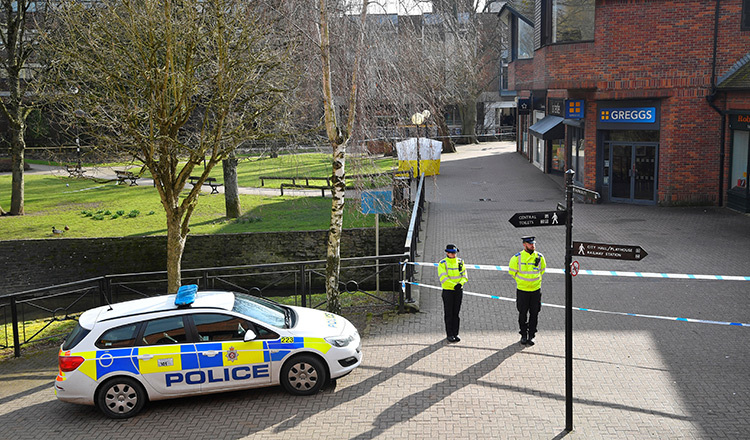 LONDON (AFP) – British detectives yesterday scrambled to find the source of the nerve agent used in the “brazen and reckless” attempted murder of a Russian former double-agent and his daughter. Sergei Skripal, 66, who moved to Britain in a 2010 spy swap, is unconscious in a critical but stable condition in hospital along with his daughter Yulia after they collapsed on a bench outside a shopping center on Sunday. Interior minister Amber Rudd told MPs that Britain would do “all we can to bring the perpetrators to justice, whoever they are and wherever they may be,” as media and politicians pointed the finger at Russia, sparking an angry response in Moscow. Ms Rudd called the attack “brazen and reckless” and “attempted murder in the most cruel and public way”. She said Britain “will act without hesitation as the facts become clearer”. A policeman also fell ill after coming to their aid and remains in a serious but stable condition and is “conscious, talking and is engaging,” Ms Rudd added. On Wednesday, British police confirmed for the first time that a nerve agent was used and that their probe was now an attempted murder investigation. “Police are now in a position to confirm that their symptoms are a result of exposure to a nerve agent,” said the Metropolitan Police. Police have cordoned off an Italian restaurant and a pub that the pair are believed to have visited. Police say they are keeping an open mind about what happened, but Foreign Secretary Boris Johnson has alluded to Russia. He noted the “echoes” with the 2006 poisoning in London of former Russian spy and Kremlin critic Alexander Litvinenko, which Britain has blamed on Russia. 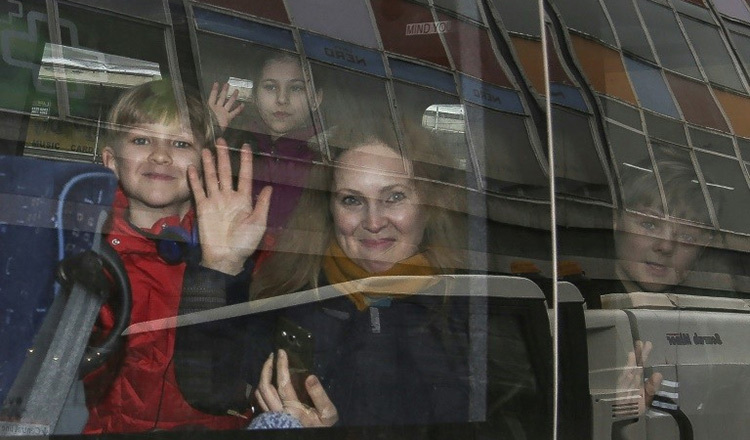 Moscow accused British politicians and journalists of whipping up anti-Russian sentiment, with Kremlin foreign ministry spokeswoman Maria Zakharova telling reporters the story “was straight away used to boost an anti-Russian campaign in the media”. Hundreds of counter-terrorism detectives are working around the clock to create a timeline of the victims’ movements, with “many hours” of CCTV under review, police said. Police are also probing Mr Skripal’s daughter, who arrived in Britain from Moscow last week with “gifts from friends” that may have inadvertently brought the nerve agent into the country. Investigators were also said to examine the 2012 death of Mr Skripal’s wife from cancer, and that of his 44-year-old son last year in St Petersburg, reportedly from liver problems. Mr Skripal was a former colonel in Russian military intelligence who was jailed in his country for betraying agents to Britain’s MI6 secret service. He was pardoned before being flown to Britain as part of a high-profile spy swap involving Russia and the United States in 2010.